When in France, enjoying a few delectable desserts are inevitable. Most popular being the widely loved, rainbow coloured macarons. It's my little sweet escapade whenever I'm in need of one, but today, I'm not talking about food. Rather I'm introducing you to something macaron related. 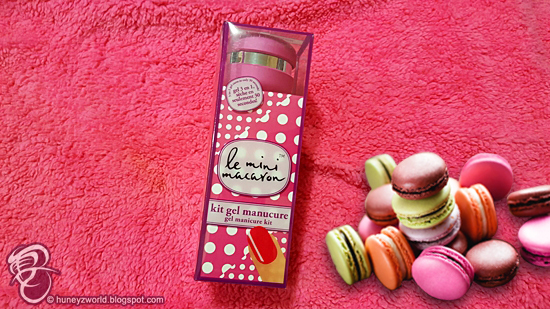 It's the Le Mini Macaron gel nail kit, where you can get gel manicure nails right in the comfort of your homes. 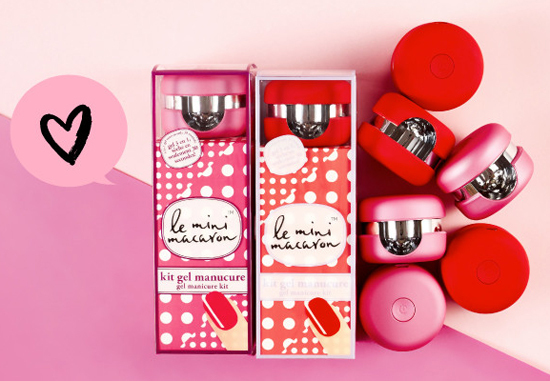 It started as a kickstarter project and I found them selling these super adorable kits in Marseilles' Sephora stores. 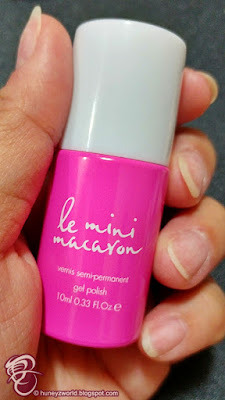 It's so small you can easily have it in your pocket, bring it with you when you are travelling and it's a major money saver compared to those korean DIY gel nail kits sold in stores. You simply need 5 simple steps, foregoing the base coat, top coat and cleansing wipes, you save so many steps and money! 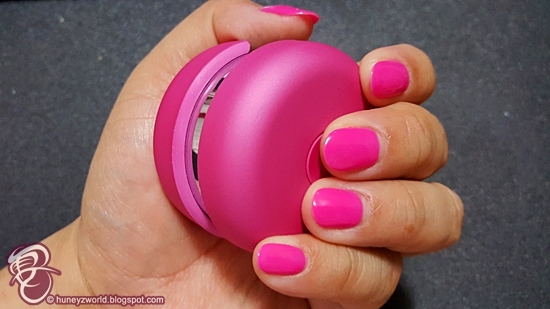 In box set, you get an instructions manual, nail file, cuticle pusher, 10 removal pads, a macaron shaped LED light with USB charger and a soak off gel polish that matches your macaron. I picked the sweetest colour available - Strawberry Pink as I wanted my fingers to be delicious???? Let's take a closer look at the highlight - the macaron LED Light! It's tiny, you can easily bring it anywhere with you and can be powered up with your laptop or your handphone charger. They are both held together by magnets and if you want to paint your toes, you can easily flip the top over and cure your toe nails too! 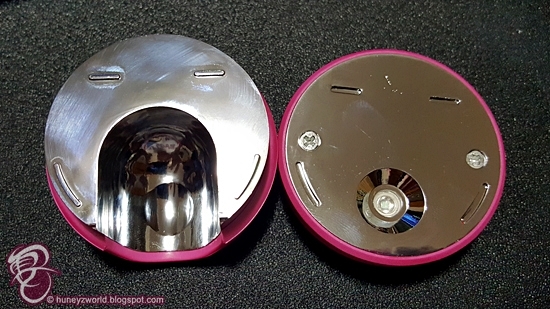 The topside has a LED bulb and the bottom side has a concave slot for you to slot your finger in. 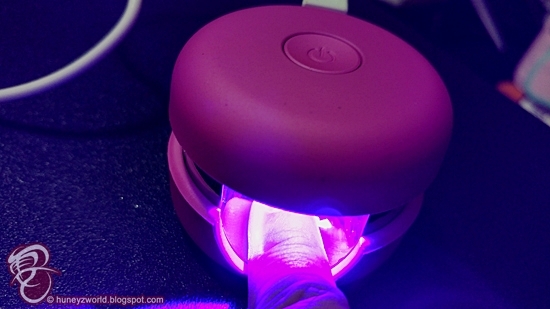 Each time you activate the light, allows you to cure your nails for 30 seconds and the fact that you can only cure 1 finger a time, can also mean a tedious process. 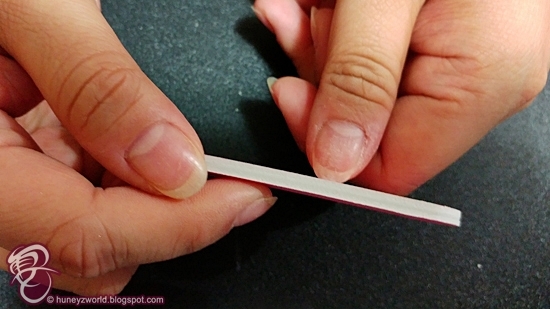 So, the process if really easy, you simply use the cuticle pusher to softly push the excess cuticle in, rthen use the file to shape your nails as well as to file the surface of your nail to allow the gel polish to 'stick' better to your nails and make the manicure last longer. 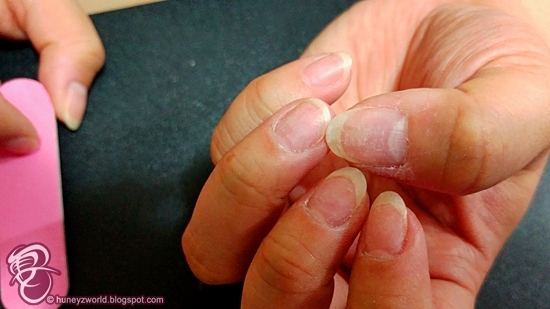 *Note: be sure not to over file the surface as that will make you nails weak, just a slight brush over will do. Next step is onto the gel nail polish. 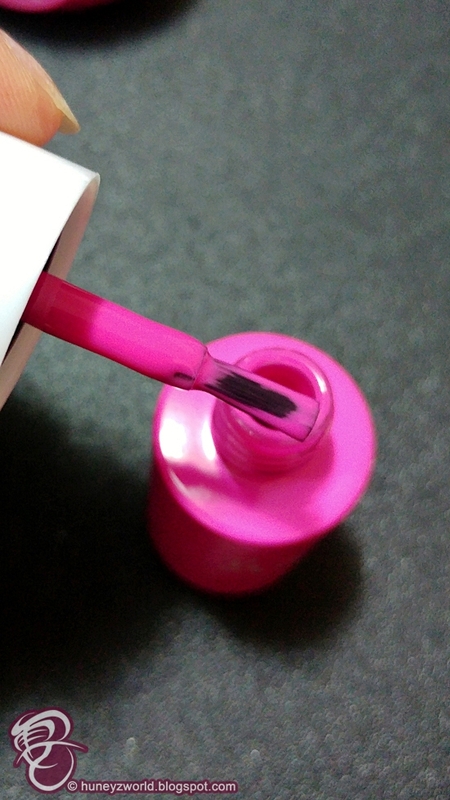 Be sure to circle the brush several times inside the bottle to remove most of the polish. 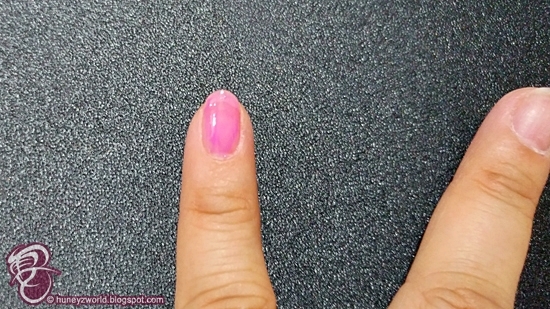 What you want is a VERY thin coat of nail polish to apply on your nails. Each coat of polish should be this thin, if it's too thick, it will not dry completely, might chip easily or might feel too hot when you are curing. For me, I prefer the colour to be fully opaque, and that would require 4 coats. So, working out the time needed - 30 seconds each coat X 4 coats X 10 fingers = 1200seconds / 20 minutes in total! No base coat or top coat is required, there is no sticky feeling after and I like how much time I've saved! 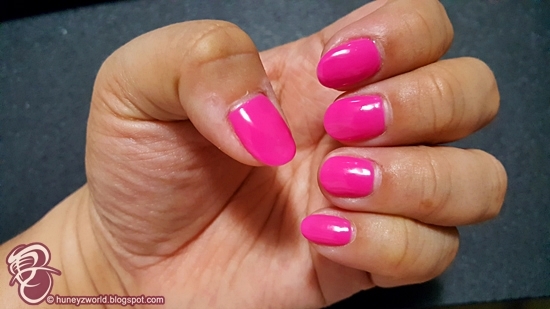 This set of manicure lasted me for around 2 weeks, before it starts peeling off like a plastic peel off layer, but it doesn't seem to have hurt my nail bed. 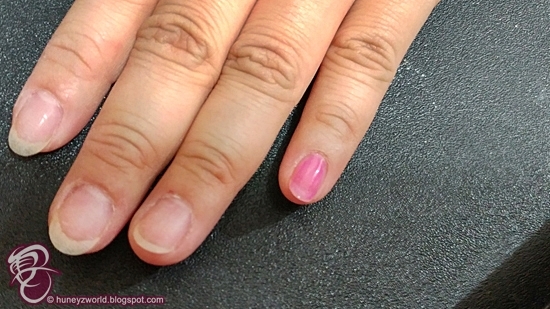 Or alternatively, when you’re ready to try another color, you can use the remover wipes enclosed to wrap around your fingers and let soak to take the polish off. Each gel kit retails for $35, 10ml polishes are $15 and they also have remover kits for $12.50 for 100 remover pads. 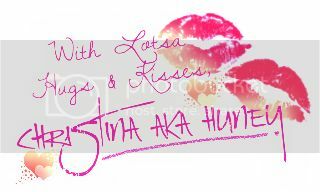 And follow along on social media for future info and swatches! This is just part of my haul from Paris/Germany.